The following translation was done by Rabbi Yair Hoffman from the original letter Rav Moshe Shternbuch, shlita, wrote to Rav Malkiel Kotler, shlita. This [letter] is in further discussion regarding the matter his honor [Rav Malkiel Kotler, shlita] discussed with me on the telephone about the decision of the American menahalim of schools to prevent children who are unvaccinated with the Measles vaccine (MMR) from entering and studying in the Talmud Torah. According to his [Rabbi Kotler’s] view, this is improper, since there is substance to the view that the vaccine may be damaging. There is also the matter that according to his [Rabbi Kotler’s] words, there are gedolei Torah who agree with the view that parents cannot be forced to vaccinate. Now regarding this issue, I have written a responsum regarding that which is pertinent to Eretz Yisrael. The matter is dependent upon time and place. I have not come to rule on the issue regarding America. That is dependent upon the rulings of the sages of that place. Nonetheless, in a number of aspects we may extrapolate from here [Eretz Yisrael] to there. I will copy here the letter that I wrote in regard to Eretz Yisrael. Regarding the measles epidemic that has spread here, to the point where close to 2,000 ill people have contracted the disease in the past year, may Hashem have mercy. Now according to the research of the physicians that was presented to me, out of every thousand people who contract measles one or two will actually die. It would appear that under such circumstances, where it was demonstrably proven that one out of every thousand dies from the illness, this would be considered pikuach nefesh in order to allow a hatzalah for life-threatening circumstances. The heart of the issue is apparent from the words of the Maggid Mishnah (Shabbos 2:13) and is cited in the Magen Avraham 330:3. “Even though not even one in a thousand women in labor pass away during a birth, nonetheless, a woman in labor is considered as a dangerously ill person to violate Shabbos. [It is just that ideally, one should only violate it with a shinui]. Similarly, we find regarding prohibitions [where the concept of bitul is for some reason inapplicable], that we are concerned for a very remote possibility, even if it is only one in a thousand (See Rashi, Bava Metzia 6b “Kulam.”). A matter that involves danger is more serious than a matter that involves a prohibition. If so, regarding matters of life and death—where we do not follow a majority—it is worthwhile to be concerned even for a remote possibility of one in a thousand. On the other hand, we do find a number of poskim [who are of the position] that a one in a thousand possibility does not qualify enough to be a danger upon which one would violate the Shabbos. as the Magen Avraham 316:23 has written that it is forbidden to kill a rodent on Shabbos even when there is a concern that it will fall into the food. For this is a matter that is not common, and he can always cover the food. Also, the chance that it is dangerous in the food is one in a thousand. It is similarly explained in the responsum of Rabbi Akiva Eiger (Vol. I #60) that even if there is substantial pain and agony, and that there is a remote one-in-a-thousand possibility that it will develop into a life-threatening situation or possible life-threatening situation, this is not considered pikuach nefesh. The Chazon Ish, zt’l, has already warned about this in his letters (Teshuvos and Kesavim #48), that we should not too quickly declare pikuach nefesh for every remote possibility, for if so you give a supportive hand to the derelicts who will constantly find a remote concern in which to violate Shabbos. They will then come to work on Shabbos for purposes of making a living and will say that they are doing so because of pikuach nefesh. That which the Magen Avraham and Rabbi Akiva Eiger have written, that one in a thousand is not considered even a possible pikuach nefesh, is in regard to whether we consider the remote one-in-a-thousand chance that it will “enter into a dangerous situation,” as the wording of Rabbi Akiva Eiger indicates — “That it will develop into a life-threatening situation.” However, when the danger is clearly present before us—where we have cases of mortality of one in a thousand, like a woman giving birth—it is proper to be concerned for a remote possibility and it is treated like possible pikuach nefesh (See further what we have written on this in Teshuvos v’Hanhagos Volume V #399). 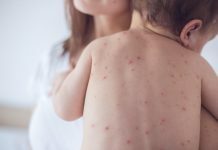 It would further appear that even without a concern of the mortality rate of measles, the doctors testify that measles will at times cause damage to internal organs [where it can cause brain infections and lung infections that cause permanent damage to breathing.] I remember that I heard from the Brisker Rav, zt’l, on that which is explained in the Gemara that one must do a hatafas dam b’ris metzitzah on Shabbos because without this there is a danger to the child. He was asked: Nowadays, where it was proven medically that there is no danger or pikuach nefesh in leaving out the metzitzah, shouldn’t it be forbidden on Shabbos? He explained that pikuach nefesh also involves long-term weaknesses that can cause weaknesses in the future. And here, too, with a strong attack of measles, this illness can cause damage to the internal organs. At times this will not be noticed immediately, only after several years. On account of this concern, parents have the right to demand that those children who are not vaccinated not study with their own children. Even though there are some individual doctors who claim that the vaccine can damage the child, since the overwhelming majority of doctors hold that vaccines do not damage at all, we are not to follow the tiny fraction of a minority of doctors who claim that vaccines damage. (Even though in general, in safek pikuach nefesh cases we do not follow the majority in cases of medical opinions as is explained in Shulchan Aruch O.C. 618:4, here it is different in that if we follow the minority view, we are endangering others according to the majority view of the doctors.) On the other hand, if we follow the view of the majority of doctors, we will be endangering people according to the view of the minority of doctors. In such a situation where on each side there is pikuach nefesh, we must certainly follow the majority. For the entire reason not to follow the majority is just in order to save life — and there is no “greater saving” here if we follow the minority view. 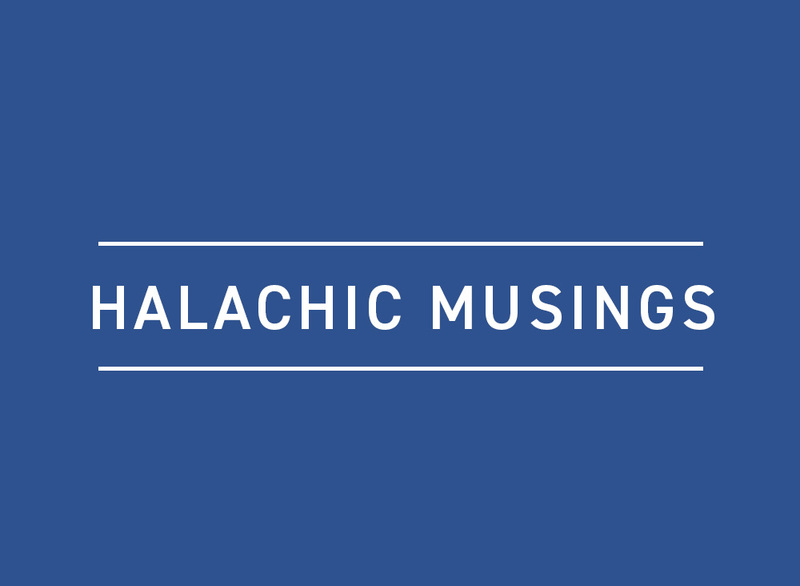 Thus the halachah goes back to following the majority like in all other Torah cases where we follow the majority. Therefore it is clear that the father may not prevent his child from being vaccinated and to cause him to enter a situation that is pikuach nefesh according to the majority of medical opinion. Certainly here, where refraining from vaccinating a child causes damage to others, for on account of his not vaccinating his child he is causing the epidemic to spread further — not only for his child but for others who can get sick from his child. It would seem further that the parents of vaccinated children can demand that those children who are not vaccinated not be allowed to enter into schools together with their children. For as it is known, this disease is very communicable. The vaccination itself cannot completely prevent the spread of it [there remains a three percent chance of infection even after vaccination]. The children who are not vaccinated do not have a right to endanger the vaccinated children and to expose them to the disease, even though the mortal danger to them is remote and minimal, since there is a small chance that they can become sickened by the disease. The parents have the right to demand that their children not be exposed to the illness even with no mortal danger. We find similar to this in regard to the smoking of cigarettes. There the halachah is clear that smokers are not permitted to smoke cigarettes in a public place since they damage the rest of the public that does not smoke. Even though there are some individuals who claim that smoke does not cause damage, nonetheless, they do not have the right to force the public to follow the minority medical opinion. Here too, since the majority of doctors hold that they should vaccinate, the father is not permitted to force the public to rely on the minority view of doctors who hold not to vaccinate. 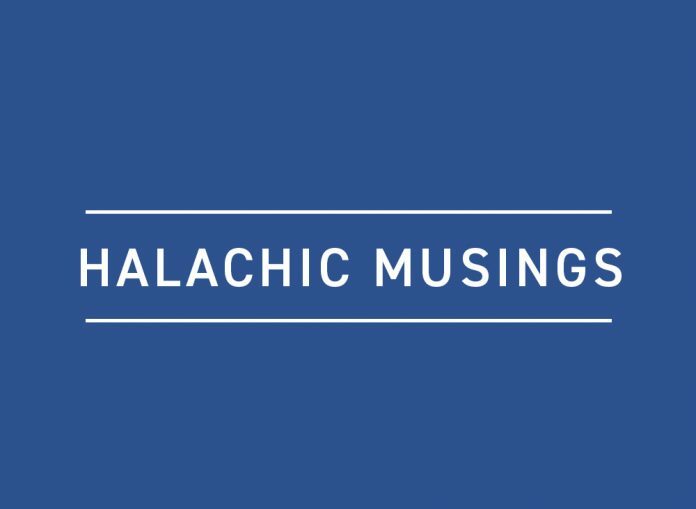 Rather, the public can demand to fulfill the halachic obligation of pikuach nefesh to follow the view of the majority of doctors. It comes out that even the administration of the schools is not obligated to accept a child who did not vaccinate, since it is dangerous [to do so] and against the desires of the parents who are concerned for harm. And while it is true that perhaps from the perspective of a lofty level of bitachon a person may be permitted to rely on the Holy One Blessed Be He and not vaccinate (if he is truly on that high level of faith in Hashem in all of his matters), bitachon is only in matters that are between him and his Master, but in a place where he is liable to bring others into a state of danger, he is not permitted to endanger others. Rather, he is obligated to function in the manner of the halachah of saving lives. Therefore, the administrations of the schools should conduct themselves in the manner of Torah and they may demand that the students who have not been vaccinated not be admitted into yeshiva. And even though the talmud Torah of tinokos shel beis rabban is most serious, for we do not abolish the study of Tashbar even for the building of the Beis HaMikdash, nonetheless, here, where there is a concern for danger — even a remote danger — they do not have the right to cause a danger to others. And even more so that there is in this a chillul Hashem, for they give power to heretics and derelicts to make fun of chareidim, for the epidemic is specific to religious communities, and they claim that our religion is not concerned for loss of life, during a time when the opposite is true — that our Holy Torah is concerned for every aspect of pikuach nefesh. In conclusion, since it is proven that vaccines are effective to prevent the spread of disease, it is an obligation upon every father to vaccinate his children to prevent spread of the disease, as is the law of the Torah to follow the majority view of experts. Certainly here, where the view of the overwhelming majority of doctors and the boards of health is that one should vaccinate, certainly then the administration of the schools may demand that those children who were not vaccinated not enter into the Talmud Torah. All our words here apply to Eretz Yisrael, but that which is relevant to America, the rabbis and admorim there should judge it, and they should listen to the opinion of the doctors and follow the law of the Torah. Their intent is for the sake of Heaven to clarify the halachah and they will have Divine assistance, and one who observes the mitzvah to listen to divrei chachamim will know no evil. I am involved in communal needs and I therefore shortened my words; the intelligent thinker will understand and add a lesson.